Being offered is the famous Lambertson Truex Paxton "IT" bag as worn by Jennifer Lopez (in white). Offered brand new with tags including dustbag. Retailed at $6,500 plus tax. Certainly makes an impressive and classy fashion statement! The best of the best in genuine crocodile skins. A handbag doesn't get named the celebrity "IT Bag" for nothing:) Also shown in all the best fashion magazines! 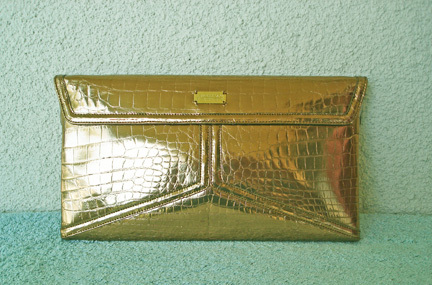 The bag being offered is identical in style to the JLO bag. 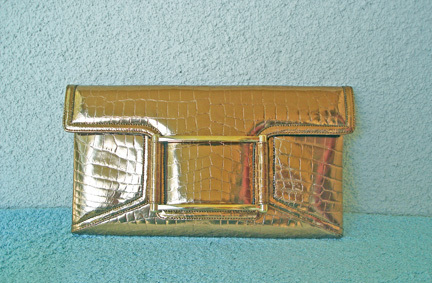 Soft sumptuous genuine softly glazed copper(perfect neutral)crocodile clutch/shoulder handbag by leading luxury goods designers, Lambertson Truex. Their signature style defined by clean lines, understated elegance and superb quality skins and craftmanship puts this designing duo high on the "wish list" of socialites and celebrities. 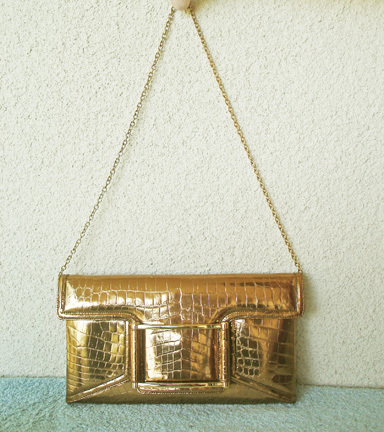 Handbag can be worn either as a clutch or with the removeable long shoulder chain. 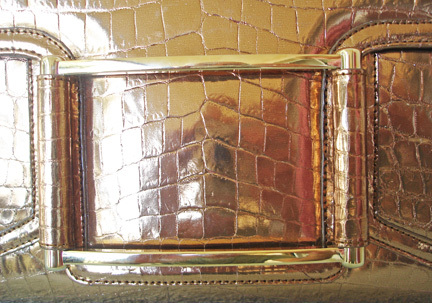 Boasts a large gold metal buckle with strong magnetic closure. Company name is discreetly imprinted both top and bottom on the buckle. Lined in signature robins eye blue suede. 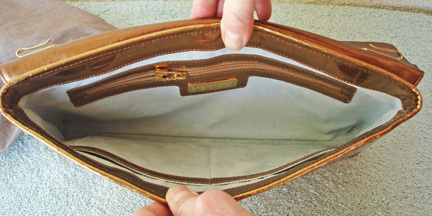 Interior features deep zipper compartment; and 2 pockets. Bag is lightweight for carrying yet still very substantial. 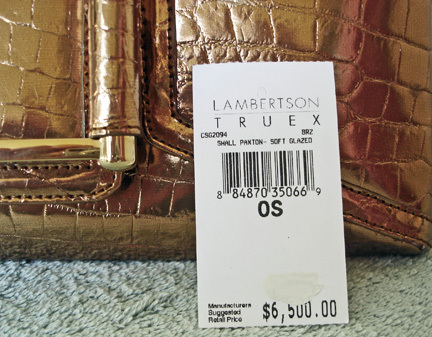 If you're familiar with the quality of a Truex bag you know this is a killer quality genuine exotic skin bag. Condition: brand new w/tags . excellent. 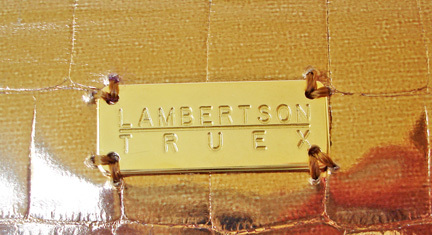 Note: "Lambertson Truex takes pride in designing and producing only the highest quality luxury products. The leather and skins used in these products comes from the finest tanneries located throughout the world. Slight imperfections and color variations may occasionally appear in the leather which will only enhance the natural beauty of this item. When not in use we recommend that this bag be stored in the pouch provided to protect it.."